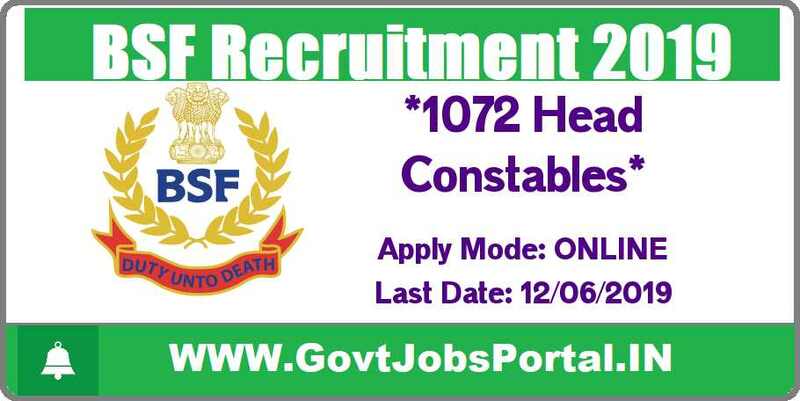 Rs.100 for the applicants who belong to General & OBC Categories. NIL for SC/ ST, Female Candidates of all categories & BSF serving personnel. Payment approach: You have to pay the application fee through SBI Gateway using Internet Banking/ Credit/ Debit cards/ BHIM pay. 14th May 2019 is the Start Date to Apply Online. 12th June 2019 is the Last Date to Apply Online. 28th July 2019 is the Date of OMR based screening test. 18 years to 25 Years for General Category. 18 years to 28 years For OBC Category. 18 years to 30 years for SC & ST Category. Applicants should own Matriculation/10th pass or equivalent and should have an ITI (Relevant Trades). 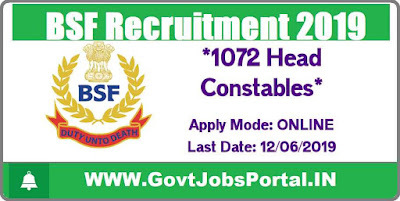 Those who have passed in their 12th standard examination with Physics, Chemistry & Mathematics can also apply for this BSF Recruitment for Head Constable posts.